Our little one is approaching 8 months. For those good at maths, that’s two thirds of a whole year, (what??!!) which to me is literally, crazy… time flies when you’re having fun! 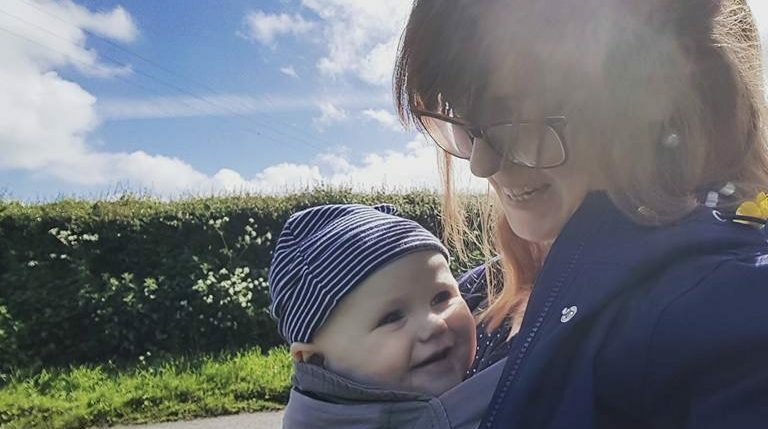 The Crafty Lass – despite being on a slight back burner due to concentrating on the move, and mainly on our forever growing and developing little man and being on maternity leave – is never far from my thoughts. In fact, at the minute, it feels like it is all I think about. I hinted in my last post, 6 weeks ago, that there are ‘big plans’, and I sort of wondered whether to even say anything back then, let alone now… if you admit out loud your deepest thoughts, your dreams, and plans that are coming to fruition – you are vulnerable, but – you are honest. This house move, was for our family. But, it was also majorly for me, The Crafty Lass. Now, don’t get me wrong – our new home, is a very long term, family home in the beautiful British countryside – but it has the added benefit of a (majorly-exciting-all-consuming-any-spare-thoughts) OUTBUILDING. Which, is currently in the process of being converted to be able to run said workshops from it… The Crafty Lass, used to be mobile – and still will be – however, it will have a new stable base, a lynch pin, a HOME. Things will take time, things will need to be planned, bought, delivered, practiced – but The Crafty Lass will be expanding its workshops offerings. There is the new house to make a home too, and of course (!) 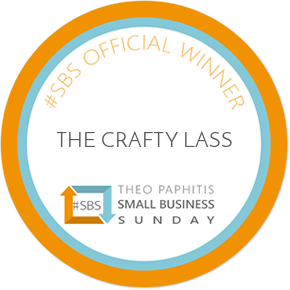 there are various ‘The Crafty Lass’ projects to complete there too. There are blinds to be made, walls to be painted and murals to be designed. There is only one of ‘me’ (thank goodness I am sure ‘The Husband’ thinks…) and my brain is on design and Pinterest overdrive with ideas and ‘vision’ for spaces and the future. I will, of course, keep you informed of anything majorly exciting in regards to workshops… but I hope you will join me on this new journey and adventure of turning our outbuilding into the new The Crafty Lass HQ. And of course, once this seriously starts to get real… I will be singing from the rooftops that I am holding workshops from here, and then I will need your help! Like, Share… Attend? So, without being a preacher – if you want something don’t let anyone, or yourself (!) hold you back. Go out, do it, live the dream. I’m not quite there yet, but the day I have people here for a workshop, and they leave creative, inspired and happy… I’ve won. I’ve lived the dream. And, now, the next stage is to MAKE IT HAPPEN. Make, Create, Inspire. So, this Crafty Lass is now a ‘full-time’ Crafty Lass. In other words, I didn’t quit the day dream, but I did quite my full time job! So, watch this space for future updates of how this grand plan currently in my head, on slips of paper, notes in my diary unveils into one big very real, very exciting reality. She who is brave, is free. Tags: Craft, Crafty Lass, Don't Quit Your Day Dream, Exciting!, Full Time, Inspiration of the Day!, Reality, This Just Got Real!, This Just Got Scary!